As nearly 90% of global water resources are used for food production, the impending water crisis will particularly affect agricultural water use and thus food security. In the context of climate changes that are reported to be taking place all over the world, the problems related to food security due to water crisis will be exacerbated. Hence, it is very important that appropriate actions are taken to Improve Food Security by effective Agricultural Water Management. There is Food Security when all people, at all times, have physical and economic access to sufficient, safe and nutritious food to meet their dietary needs and food preferences for an active and healthy life. By the year 2050, global food production will have to be doubled in order to meet the food demands of the people. Many have predicted a global water crisis in time to come that will affect the capacity of both potable and agricultural water supply to meet the basic needs of crop production. Water plays a crucial role in crop, animal and aquaculture and also in food-processing. Hence the universal motto "Water is life! Without water there certainly can be no agricultural production, thus no food production. Hence, it is essential that effective Agricultural Water Management practices are implemented. Food security is assured “when all people, at all times, have physical and economic access to sufficient, safe and nutritious food to meet their dietary needs and food preferences for an active and healthy life”. It refers to the right to food, a fundamental, individual right established since 1948 by the United Nations as part of overall human rights. Global food security is a major challenge for public policies. In fact, the reduction of poverty and hunger is the first MDG (Millennium Development Goal. It is estimated that at least 852 million people worldwide suffer from hunger and malnutrition; four-fifths of them live in rural areas. Feeding a world with a rising population requires determined and concerted action to increase agricultural production. to guarantee the food safety of final products. The relationship between water and food security is of great importance because the ecosystems, both natural and artificial, are central in water management processes: they collect rainwater, store it, transfer it, and make it available to sustain ecosystems, agricultural production and other processes. Water is one of the most basic human needs. With impacts on agriculture, energy, health, livelihood etc. water management underlies the most basic development challenges. Water is a shared resource that interconnects the environment, food security, generation of energy and many other sectors. Lack of water stifles socio-economic growth of any country. The world will face a shortage of water in the near future and global climate change will exacerbate the problem of water shortage. It has been estimated that in another 15-20 years, the world will be facing a 30% water gap. The global water crisis will affect the capacity of both potable and agricultural water supply to meet the basic needs of living organisms. By the year 2050, global grain production will have to be doubled in order to meet the demand of a growing global population with changing consumption patterns to more protein-based diets at a time of climatic changes. There are large variations in the estimates to what extent water scarcity will impact human and economic development, but the projected rise in the number of people living in water-scarce regions ranges 1-2.5 to 3-9 billion over the next century. As nearly 90% of global water resources are used for food production, the water crisis will particularly affect agricultural water use and thus food security. The main challenge will therefore is to improve efficiency of agricultural water management in order to produce 50% more food by 2050 to meet global demand. The International Water Management (IWMI) therefore summarized the challenges as “it is possible to produce the food—but it is probable that today’s food production and environmental trends, if continued, will lead to crises in many parts of the world. Only if we act to improve water use in agriculture, we will meet the acute freshwater challenges facing humankind over the coming 50 years”. As Food Security is determined to a great extent by productivity and availability of water, the implementation of appropriate action will solve the coming water crises and food security. Hence, it is sine qua non that effective water management policies are implemented world wide. The proportion of water absorbed by a crop and transpired by its leaves is an indication of productive use of water. This is the water that serves for crop growth resulting in yields. Therefore, the higher the productively used portion of water, the higher is its water use efficiency. Therefore, measures need to be taken to achieve higher water use efficiency, which is the smart use of our water resources through water-saving technologies. Using water efficiently will help ensure reliable water supplies today and for future generations. Generally, in simple irrigation systems water efficacy tends to be less than 50%; ranging between 30-40%. 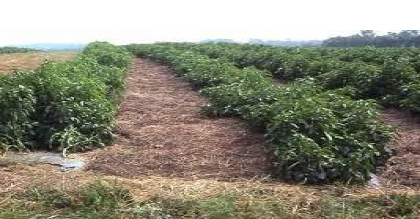 An increase of water efficiency can be achieved by applying water saving technologies such as construction of water storage facilities (picture 1) drip irrigation (picture 2), rainwater harvesting (picture 3), and mulching (picture 4). In addition, cultivation of less water demanding crops, cultivation of crops adapted to drought, good agricultural practices to manage soil fertility, and reducing landdegradation can increase water efficiency. The impending water crisis as a result of water scarcity is increasingly being recognized as a growing concern for many countries around the globe. For instance, the World Economic Forum warns that “Water security (whether it be the challenge of too little water over long periods of time, or too much water all at once) is one of the most tangible and fastest-growing social, political and economic challenges faced today. It is also a fast-unfolding environmental crisis. In every sector, the demand for water is expected to increase and analysis suggests that the world will face a 40% global shortfall between forecast demand and available supply by 2030”. factors. 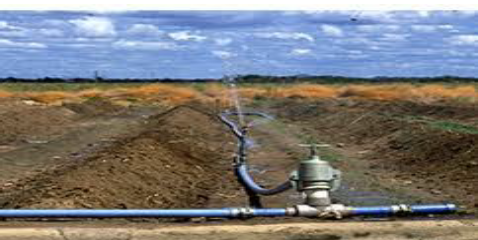 Water scarcity can also result from the excessive expansion of irrigation areas. Scarcity can arise if the required infrastructure such as weirs are not available. If the causes of scarcity can be identified correctly, it could be avoided and/or reduced. Water conservation increases the available water supply from existing sources to promote food production. It is also more immediate, significantly less costly and more energy efficient than developing new sources of water. Water use in food production can be minimized by a number of methods indicated below. Growing crops which need less water and drought-resistant. 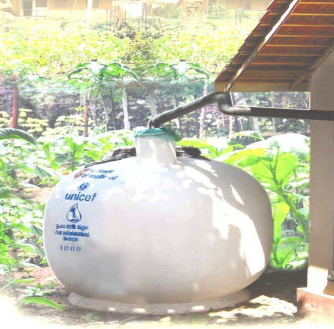 Using Rainwater harvesting for irrigation, and cleaning purposes. 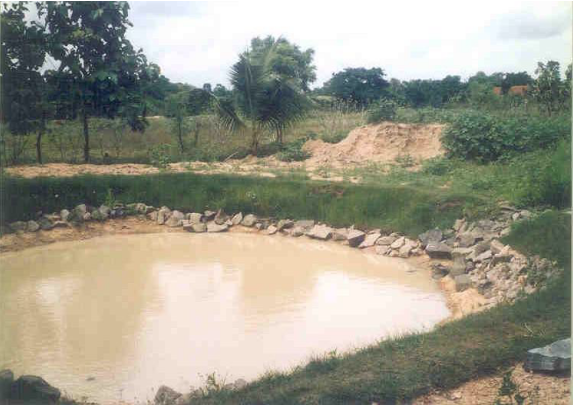 Storing runoff from rainy periods for use during dry spells by using tanks, ponds, and earth dams. Water quality is a serious concern in nearly all countries, and it is estimated that the total cost of neglecting it around 3 to 5 percent of GDP in certain countries. Water quality tends to be affected mainly by salinity found mostly in the tropics. It is time world leaders recognize the enormity of this problem and start taking necessary actions. Managing water at the basin level. expected to worsen because of climate change. The probable changes in precipitation and evaporation will translate directly to shifts in the existing pattern of soil moisture deficits, groundwater recharge and runoff. With respect to cropping calendars, the most immediate impacts will be felt by rainfed agriculture whose yield performance is expected to exhibit more volatility as a result of oisture stress in regions with declining rainfall. In areas experiencing increased rainfall and temperature, higher intensity rainfall may damage crops and erode soils. change on food security is essential. ↑ Food and Agriculture Organization (November 1996). "Rome Declaration on Food Security and World Food Summit Plan of Action". ↑ United Nations Resolution 217 A, Article 25, 10th December 1948. ↑ FAO, (2005) : The state of food insecurity in the world. FAO,fckLRRome (www.fao.org/documents). ↑ World Bank (2007): Making the Most of Scarcity: Accountability for Better Water Management Results in the Middle East and North Africa. Washington, USA. ↑ Chartres,C and Varma,S. (2010). Out of Water: From Abundance to Scarcity and How to Solve the World's Water Problems, London, Financial Times Prentice Hall. ↑ FAO (2012): Coping with water scarcity - An action framework for agriculture and Food Security. IPCC. (2001) Climate Change. The Scientific Basis. : Contribution of Working Group I to the Third Assessment Report of the Intergovernmental Panel on Climate Change (Houghton, J.T.,Y. Ding, D.J. Griggs, M. Noguer, P.J. van der Linden, X. Dai, K. Maskell, and C.A. Johnson (eds.)). Cambridge University Press, Cambridge, United Kingdom and New York, NY, USA, 881pp. The German International Development Cooperation (2012) Better Water Use Efficiency for Increasing Yields and Food Security - from Watershed to Field. Akker, van den; E.; Compaore, A.; Gandarillas, H.; Hoogendam, P.; Kuylenstierna, J.; Molle, F., and Nill, D.
Schmidhuber, J and Tubiello, F. (2007). Global food security under climate change. Proceedings of the National Academy of Sciences of the United States of America PNAS 104 (50) 19703–19708 http://www.pnas.org/content/104/50/19703.full. Comprehensive Assessment of Water Management in Agriculture (2007). Water for Food, Water for Life: A Comprehensive Assessment of Water Management in Agriculture. London: Earthscan, and Colombo: International Water Management Institute. FAO (2012). Water scarcity and food security. A framework for action Giordano, Meredith A., Frank Rijsberman, R. Maria Saleth (2006) (eds. ): “More Crop per Drop”: Revisiting a Research Paradigm. Results and Synthesis of IWMI’s Rese UNEP(2009). The German International Development Cooperation –GIZ. (2010): Water Saving Irrigation. Briefing Note. Division of Rural Development. This page was last modified on 25 May 2016, at 09:41. This page has been accessed 48,103 times.